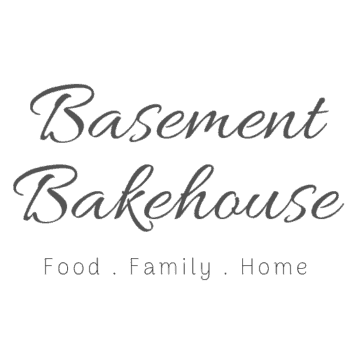 If you’re a fan of baking but still want to slim down, no matter what lifestyle plan you’re following, it’s important to find recipes which fit within that whilst still giving you the same satisfaction of baking something delicious! 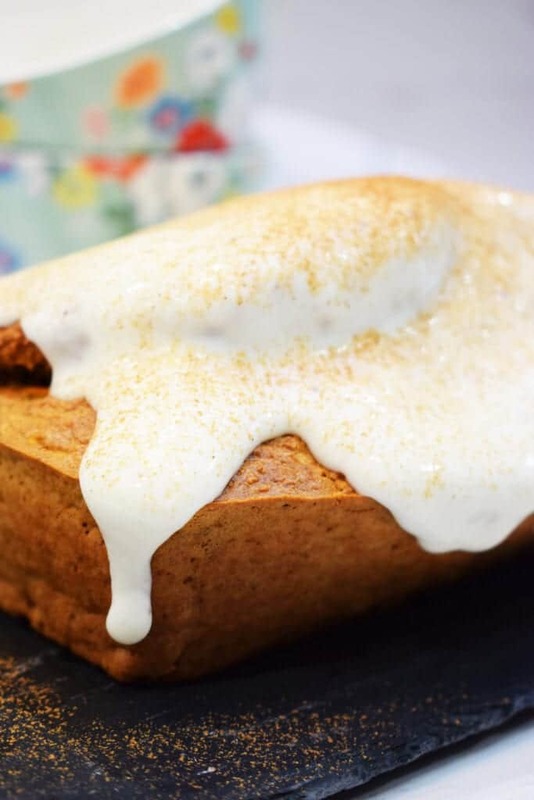 This Healthy Carrot Cake is the perfect healthy bake…and it’s gluten free too! 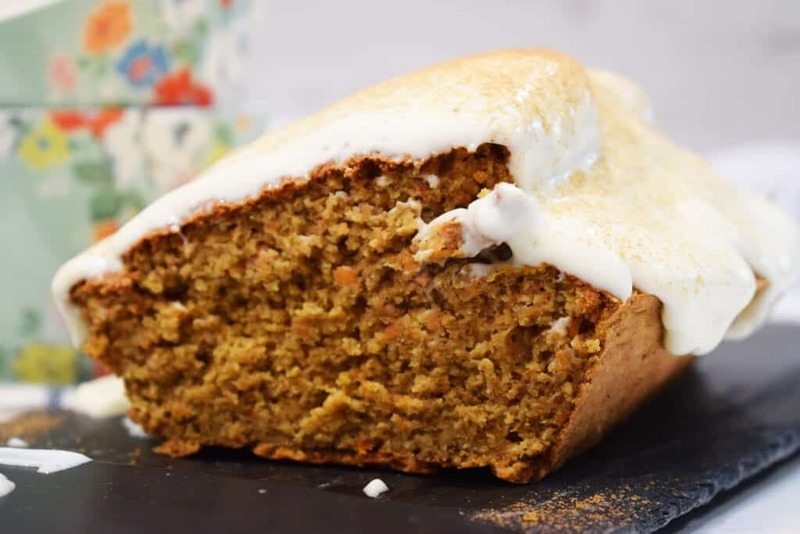 How Is This Healthy Carrot Cake Gluten Free? 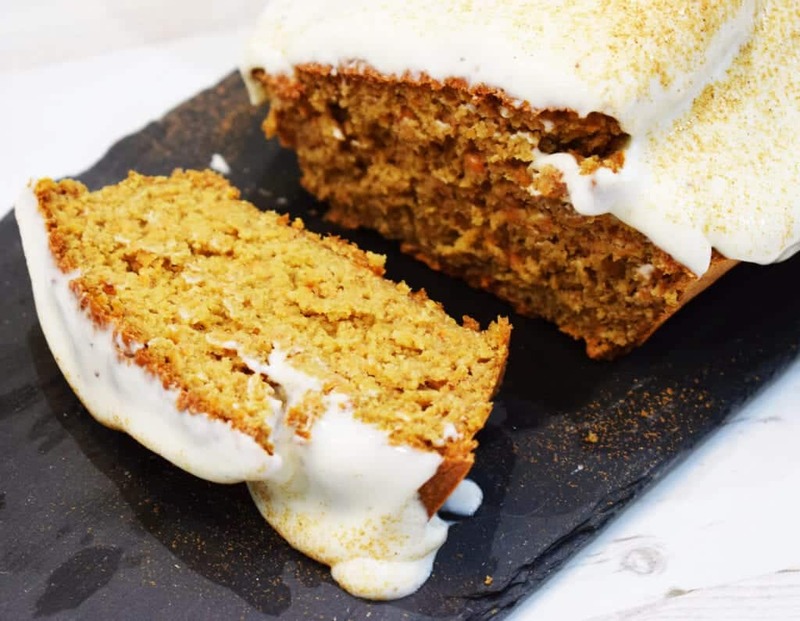 This healthy carrot cake is absolutely gluten free because it’s made with oats! You obviously have to ensure that you’re using oats which are marked as gluten free, some are made in factories so can be cross contaminated, but as long as you do that you’re set! 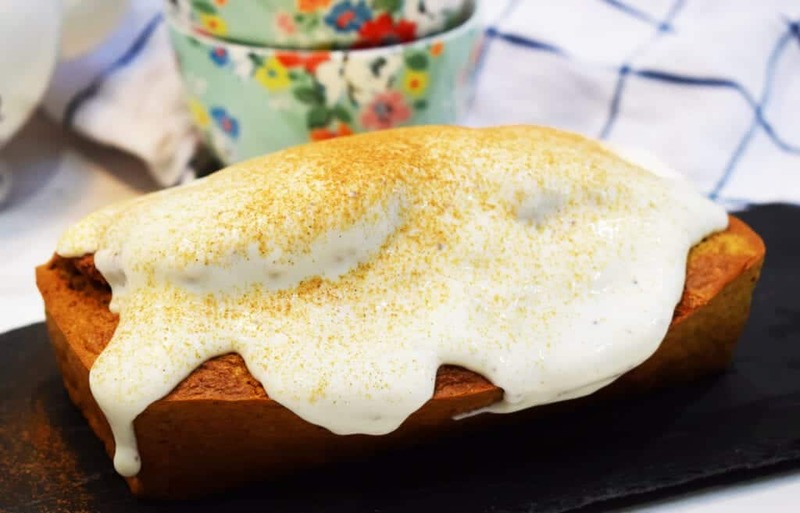 Personally I’m not gluten intolerant but I love to make recipes which can be enjoyed by everyone and this is one of those bakes. You can find more of my gluten free recipes here. 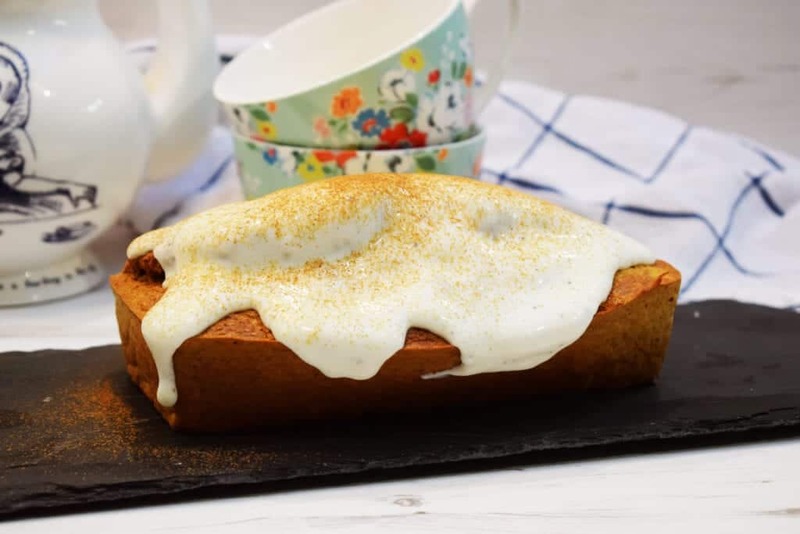 How Many Syns in this Healthy Carrot Cake? The beautiful thing about this cake is that you can have two slices (the cake is 10 slices in total) as your Healthy Extra B! If you ask me, having two thick slices of cake beats two small slices of wholemeal bread any day. Using two slices as your Healthy Extra B this cake is five servings. Using your Healthy Extra B, the ENTIRE cake is JUST 9.5 SYNS including the icing! That’s UNDER ONE SYN PER SLICE! How great is that though, you can have two big slices of this cake for your Healthy Extra B and one syn all in! 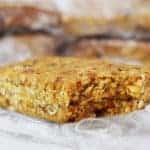 If you decide not to use your Healthy Extra B you’ll have to count an extra six syns for the oats in the recipe per serving, but 7 syns for two slices of cake is still pretty great! 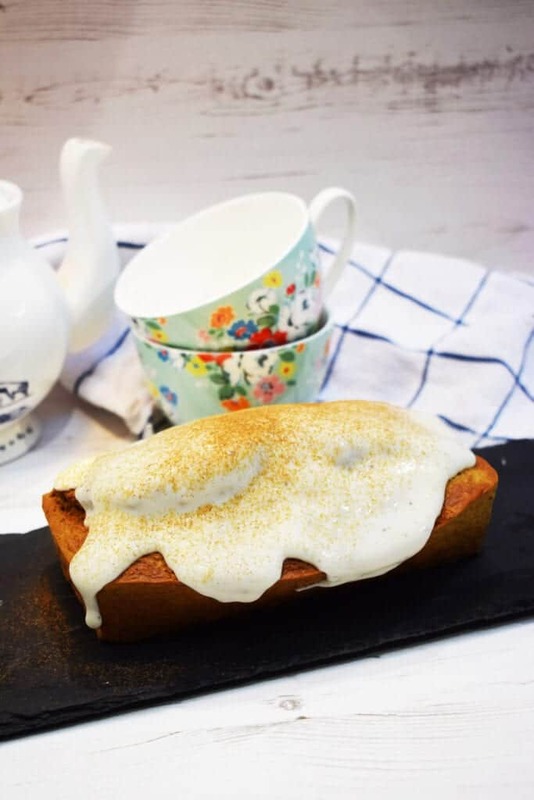 The icing on this cake is a cream cheese icing, made using a mix of Philadelphia Light and vanilla yogurt which works really well! What’s even better, if you needed another reason to make this cake, is it has carrot in which is speed food! 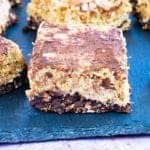 Whilst I don’t think you could exactly say you’re eating this cake as the speed on your plate, it dramatically reduces the calories in the cake and ups the health and nutrient factors too. Why Is The Sweetener Synned In This Recipe? Under Slimming World’s recent changes granulated sweetener has to be synned if there is a tablespoon or more per serving in the recipe. It is synned at 0.5 syns per tablespoon, but if it’s in the recipe at less than a tablespoon per portion you aren’t required to syn it. 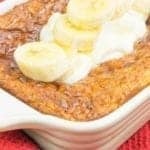 This recipe contains five tablespoons of sweetener and has five servings so the sweetener is synned at half a syn per tablespoon, a total of 2.5 syns in total…still so much better than sugar! Find the recipe video below! 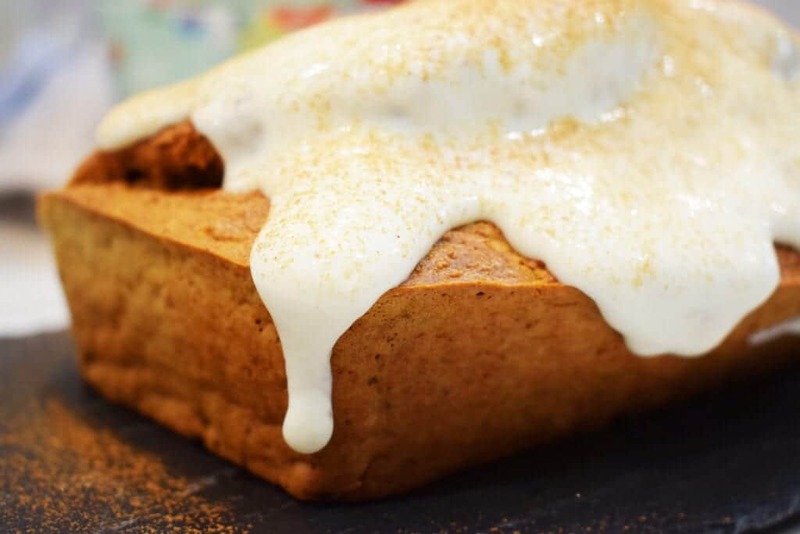 A delicious and healthy carrot cake made using oats, low syn on Slimming World. Add the oats, sweetener baking soda and baking powder in to your food processor and pulse until the oats turn into a course flour. Add the cinnamon, vanilla extract and pulse until blended. Add the eggs and yogurt and blend until smooth. Add the grated carrot and pulse until the grated carrots are combined. Line your loaf tin with baking paper or grease it depending on the kind of loaf tin you have. Tip in the cake mixture and bake for 35-40 minutes or until the cake is cooked through. Allow to cool for ten minutes and tip onto a cooling rack to cool completely. Use this time to make the icing. When the cake has cooled tip the icing over the top and allow it to drip down the sides. Mix the cream cheese and yogurt together until smooth. Taste it to make sure it's sweet enough for your tastes and add more yogurt if necessary. 2 syn per serving (two slices) using your Healthy Extra B. 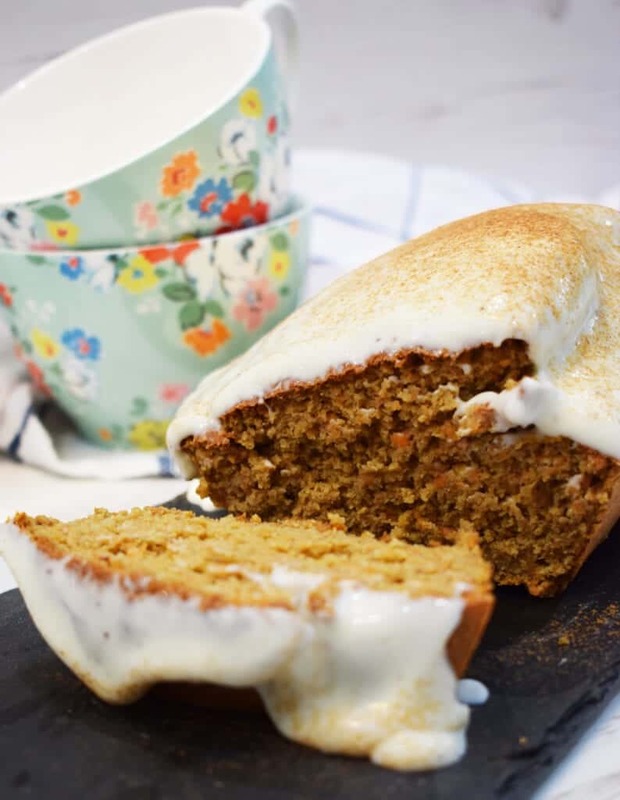 Add six syns per serving (two slices) if not using your Healthy Extra B.
DON’T FORGET TO PIN THIS HEALTHY CARROT CAKE RECIPE FOR LATER! Hi Sarah, the recipe is in this post above. Please send me all these delicious recipes. Hi Thirza, I'm glad you like my recipes! Feel free to have a proper search around the website and you'll find loads more! Hannah what could I use instead of muller light vanilla? This post had me scrambling over to Wikipedia to find out what Syns and Synning were! My husband adores carrot cake, but detests diets. What he doesn't know won't hurt him, eh? This sounds yummy, especially with that cream cheese icing! Hi Anne, tweaks only reference a free food being made into a non free food like flour. For example if this used quinoa as flour then that would be a tweak as you'd be in danger of overeating the quinoa and putting your weight loss at risk. 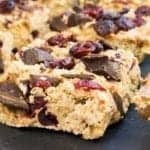 With oats however you are either synning them or using it as your Healthy Extra B and therefore you are limited to the amount you can eat and therefore it isn't a tweak. If you don't use these as your Healthy Extra B then you have to syn the oats as oats, but if you are using your HexB then you can count the oats as syn free for that given quantity. Hope that helps! Swoon! I LOVE carrot cake! I am all about all things carrot cake year-round. I wish I had a slice of this beautiful cake to enjoy with breakfast this morning. by far carrot cake is my favorite, I often ask for it for my bday. Well I make it, love the lighter version too. I've not tried it with quinoa before but I have heard that it's lovely that way! How many slices should it serve ? Hi Sue, the cake should be 10 slices which is 5 servings. Hope that helps! At the top it says serves two? It's baked at 180 degrees. Hi Isabel, a blender would definitely work! Hi Emma, don't worry! It's not a tweak if it's being used as your Healthy Extra B and if you're not using it as that you're synning it anyway so you're not in danger of overeating. 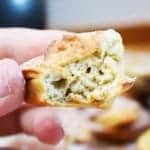 A tweak only counts for free foods being used in a different way, for example if quinoa was being used as the flour, this would need to be synned as flour! 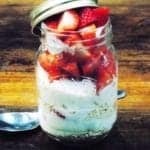 Hi Michelle, as explained in the recipe the recipe the oats in this can be used as your Healthy Extra B or are synned. This really is a healthy cake and it looks so beautiful too! I've never used sweetener instead of sugar, I must take a look at that section in the supermarket next time I go shopping. Made this cake today it looks great can't wait to try it. How long does the cake keep for? Do i need to store it in the fridge? I'm sure the syns are much higher than stated. The oats are 40g for your hex b then 7 syn s per 40g on top of that. Add the sweetener and it must be at least 30 syns for the whole cake. Hi Lynne, the syns stated are per slice not for the whole cake and also take into account using two slices as your HexB. If you do not do this then you have to syn the oats accordingly. Not on slimming world, could I use spelt flour instead of the oats? Absolutely, it would work a treat! You may need to adjust the liquid slightly so maybe add gradually and mix until you get the right consistency! Hi Claire, that's very odd. None of the ingredients are salty, so I can only imagine that maybe some salt has migrated its way into your sweetener, or maybe that the oats somehow have salt in? Otherwise I really can't imagine why! I'm very glad it came out well anyway, maybe put a big dollop of sweetened yogurt on if its a little salty for some reason?